The new statistic records from Canada show that the International migration has accounted for almost 70 % increase in the total Canadian population growth in the last three months in the year 2017. The Canadian Population has been increased by 78,805 people between October 1, 2017, to January 01, 2018. Almost 70% or 55,048 has been International migrants which include Non-permanent residents, returning emigrants and Immigration. The huge increase in the levels of International Migrants has been really unusual since 1971 as per the record. Also, there has been an increase in the Non-Permanent Residents especially refugees. The increase in the migrants’ number is mainly due to the innovative strategies implemented by the Canadian Immigration Ministry. The Immigration Minister of Canada also suggested that the contributions made by the immigrants in the economic and social development of Canada have been significant and the current government has kept the faith in immigrants by announcing an ambition multiyear immigration plan between the year 2018 to 2020 in which the government has announced to take 1 million immigrants through the prescribed time period. The main provinces who felt the migration surge are Yukon, Ontario, Manitoba, and Quebec. Especially Yukon has seen an increase in immigrant population. Pelican Migration Consultants is one of the best Migration Consultants in the Middle East. 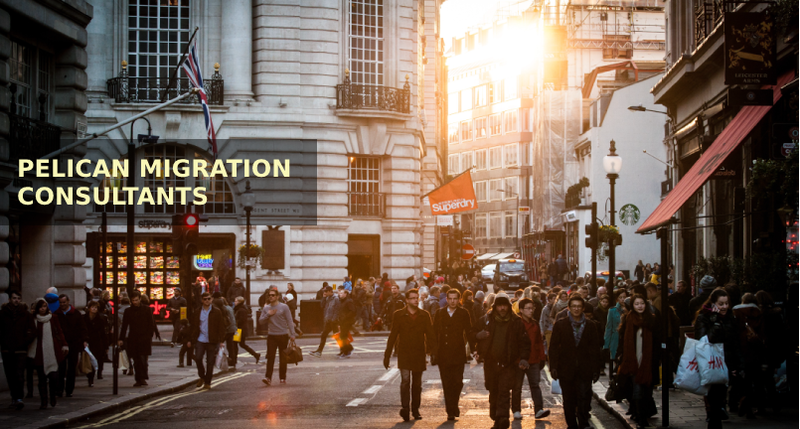 We can provide expert and professional migration services to all the qualified professionals who wish to migrate to countries like Canada, Australia, and New Zealand. We provide services in the majority of the Immigration programs set by the Canadian Government like Express Entry program, Canada Student Visa, Provincial Nomination Program or LMIA approved work Permit Application. Pelican Migration Consultants is an ICCRC licensed Migration Consultancy and we have our RCIC lawyer office based in Edmonton, Alberta.